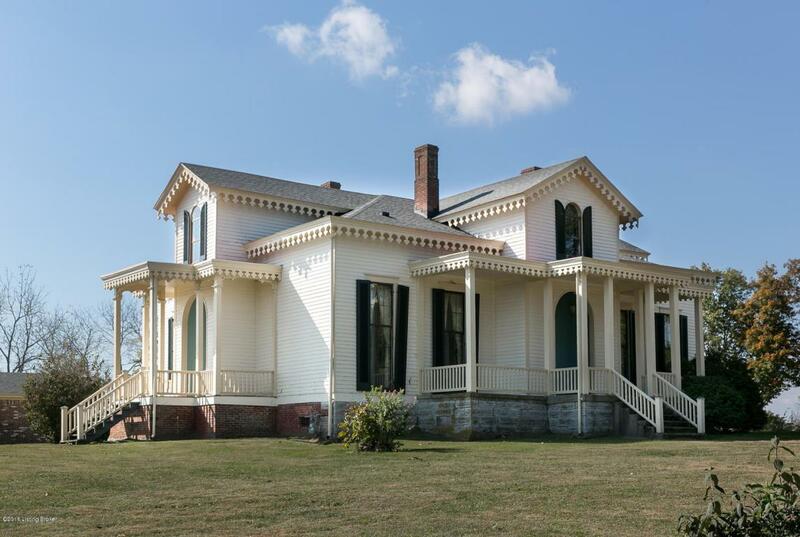 ''Forest Hill'' is one of the most historically significant houses in Kentucky. 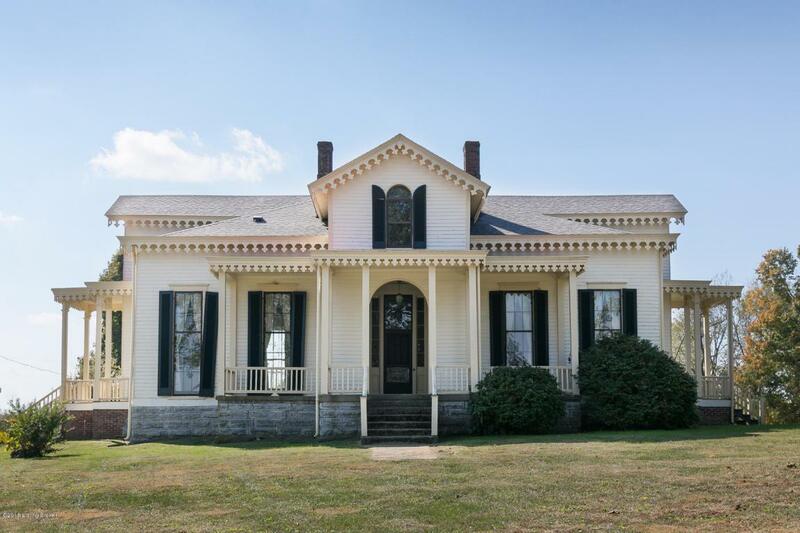 The gently rolling farm, once 2000 acres, was home to Presley Neville O'Bannon, (he also sometimes spelled it O'Banion) the Hero of Derne during the 1805 Barbary Wars. For his heroism, he was the original recipient of the jeweled Mameluke sword, the official officer sword since 1825 of the United State Marine Corps, and was the first American to raise the U.S. flag on foreign soil. He led the attack on the Barbary Coast pirates who were holding 180 American seamen for ransom. The lyrics in the official Marine Corps song ''by the shores of Tripoli'' refer to O'Bannon and his fellow soldiers. Screen star John Payne portrayed the role of O'Bannon in the 1950 film ''Tripoli''.After the Frankfort premiere of the movie, Payne placed a wreath on O'Bannon's grave in the Frankfort Cemetery. As an additional historical note, Presley's sister Amanda was married to Elijah Pepper, a whiskey distiller in Woodford County, whose brands included "Old Pepper" and "Old Crow". Woodford Reserve bourbon is located on the site of Pepper's original distillery. Presley O'Bannon died at the home of Elijah and Amanda's daughter, Amanda Pepper O'Bannon and her husband, John W. O'Bannon, in September 1850. John W. was a nephew of Presley; Amanda Pepper O'Bannon was his niece. Presley was first buried on their farm in Pleasureville but was later reinterred, with military honors and much pomp and circumstance, in Frankfort in 1919. Another O'Bannon niece, Mary Jane O'Bannon and her husband Hawkins Craig Middleton, acquired the farm from the O'Bannon heirs in 1845 and soon after began construction of the Steamboat Gothic "Forest Hill". Middleton was a steamboat captain on the Mississippi and Ohio rivers and modeled the house after "Beauvoir", the Brown home in Biloxi, Mississippi that was the last home of Confederate president Jefferson Davis. The house was originally supposed to be brick but Middleton wasn't satisfied with its quality. He had cypress and yellow poplar shipped from New Orleans but did use the brick for the chimneys and a small house still standing behind the main house. Middleton and his wife actually lived in the small house while the main house was being built. The original first floor rooms are approximately 20' x 20' and the wonderful hallway is almost 14' x 40'. The intriguing second floor was designed for servants and storage. A poured concrete basement has been added under the rear of the house. Numerous outbuildings, dating from Middleton's time, grace the property. An almost equally famous 19th century occupant of "Forest Hill" was Sally Ward Lawrence Hunt Armstrong Downs, the original "Belle of Louisville". 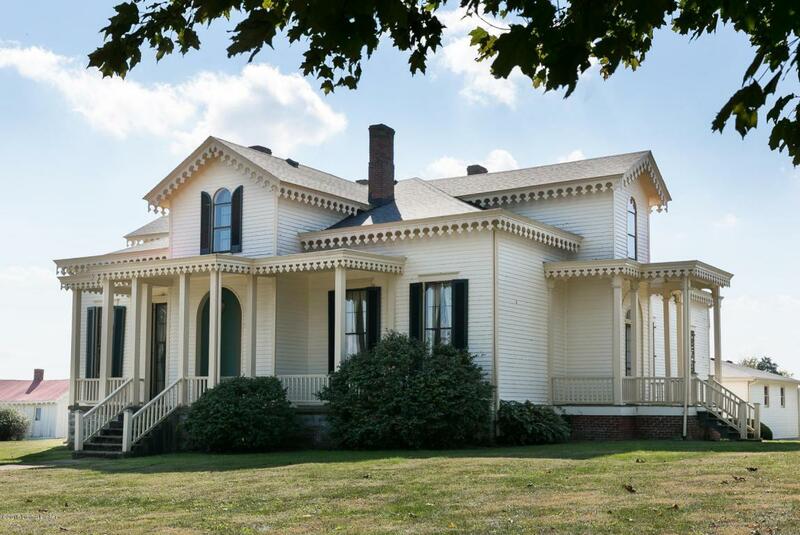 She and her fourth husband, Major George F. Downs, lived at the farm as well as the Galt House, a hotel in Louisville, where she once rode her horse up the staircase to the second floor. Her death in 1896 was front page news in the Courier-Journal. By her twenties, her name had been given to racehorses and a rose. Steamboats, a doll, a type of ladies' walk, even a waltz were named for her. Her portrait, by George Healy, used to hang in the hallway at "Forest Hill" but is now part of the collection at the Speed Art Museum. Her first husband was Timothy Bigelow Lawrence, scion of a wealthy Boston family. Their wedding was attended by governors Robert Letcher, John Crittenden and Lazarus Powell, as well as George Prentiss, editor of the Louisville Journal. Her dress cost $5,000. On her death, Kentucky humorist Irvin Cobb, because of her many marriages, suggested engraving her tombstone: "At last she sleeps alone." A later owner was Will S. Threlkeld, a relative of the current owners. His Thoroughbred breeding operation at "Forest Hill" produced Royse Bud, a foundation mare of the great Storm Cat. Threlkeld was a banker and business partner of Bull Hancock and Warner Jones, Sr and was a noted character in his own right. He often ate in the main dining room in Louisville's Pendennis Club with his Scottish terrier, Jeep. Heaven help a member brave enough to complain. In addition to historic "Forest Hill", the property includes a second residence, a custom built walk-out brick Cape Cod built in 1986. 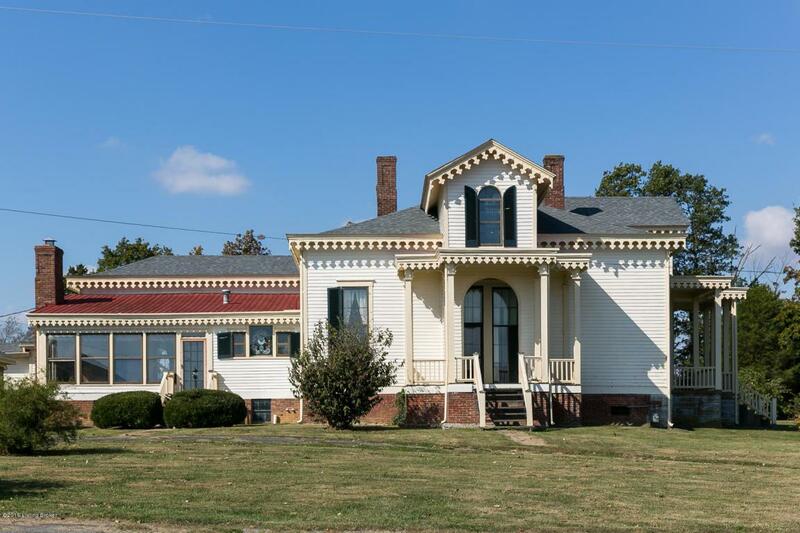 It contains 4 bedrooms, 3 full baths and approximately 4715 finished square feet (including finished part of lower level) plus an attached 2 car garage.The farm was part of the buffalo trail that went from Henry County to Harrodsburg. © 2019 Greater Louisville Association of Realtors. All rights reserved. IDX information is provided exclusively for consumers' personal, non-commercial use and may not be used for any purpose other than to identify prospective properties consumers may be interested in purchasing. Information is deemed reliable but is not guaranteed accurate by the MLS or Keller Williams Realty Louisville East. Data last updated: 2019-04-24T07:58:13.73.